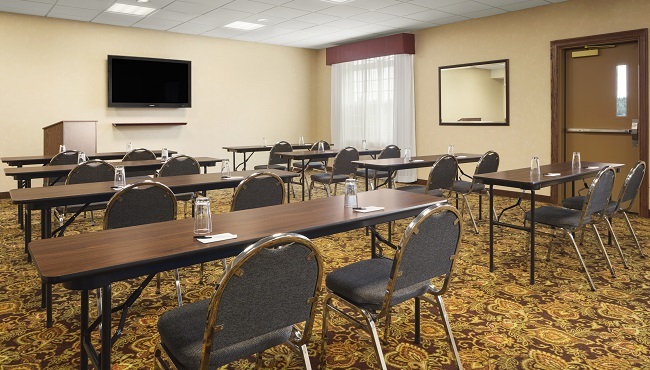 We make it easy to host a corporate meeting, wedding shower or family reunion thanks to our flexible, 1,000-square-foot event venue that can accommodate up to 75 attendees. Deliver professional presentations using free high-speed Internet access and audiovisual equipment. If you plan to serve a meal or light refreshments, the staff at the Country Inn & Suites can provide catering recommendations and even assist with setup.